Even though I felt like a lot of season 10 of Supernatural was spinning its wheels until it could actually deal with the Mark of Cain business, looking back at the episode list, I have to admit, there were quite a few pretty good episodes. Now, I don't know if any of them would make my ultimate top 10 episodes ever list, but perhaps one of them could get a spot... maybe? Hmm that's hard. I'm sure one day, when the show has finally been salted and burned, I will try to rank all of the episodes from all of the seasons. That will be an epic task, to be sure. Because who knows how many episodes will exist by that point. We're already over 200! Oh gosh I don't even want to think about how hard that will be. So let's get back to season ten. Definitely one of the better seasons in the post-Kripke era. I had kind of a hard time picking out which were really the best episodes and which ones I just enjoyed myself. So, hopefully most of you will agree with the below list. As always, though, let me know what you think in the comments, and don't forget to vote in the poll at the end! Originally, I didn't have this episode on my top 5 list. 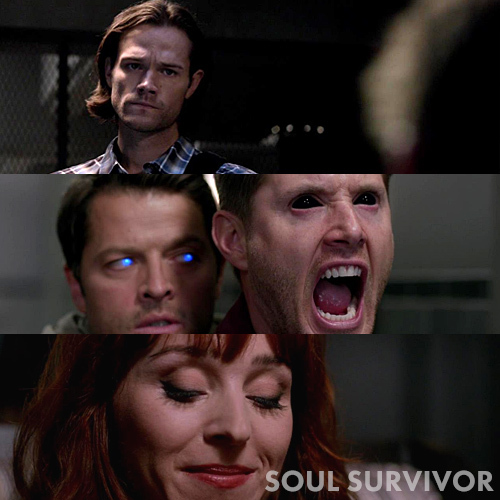 I get why a lot of people like it - Dean was returned to his demon-less self, and there was Cas getting another grace to use as a stopgap until he could get his own back. So I'm including it because a lot of people seemed to like this one a lot. If I had my own druthers, I would probably swap it for one of my honorable mentions below, likely Angel Heart. There have been many iterations of young Dean in the past. 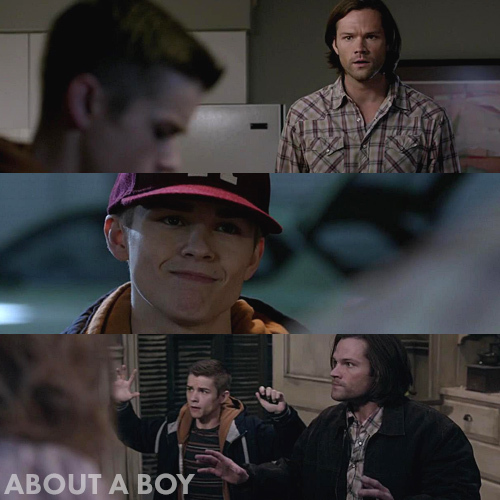 While young Sam got it right when they cast Colin Ford, young Dean had a bit of a harder time finding the right fit. But finally, they seem to have done it with Dylan Everett. About a Boy was only tangentially about the overall plot of the season, but that was perfectly fine. It brought some much needed humor to the party, and I admit I had a hard time picking which scene to feature in my link. Now, if only we can get an episode with BOTH Colin and Dylan as the teenChesters, that would be awesome. You can't have a top episodes list for season 10 without including at least one Felicia Day episode. 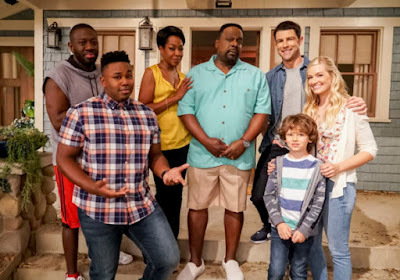 I know, the season was her swan song as Charlie, which kind of made me mad because she was one of the only recurring female characters on the show, but at least they gave her some good material on the way out. The boys would not have been able to get anywhere near figuring out how to get rid of the Mark without her. 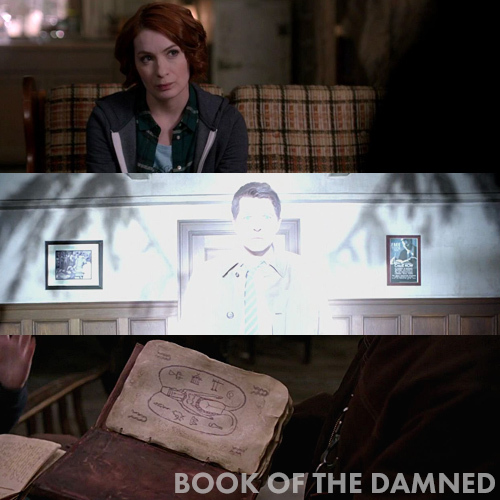 I chose this episode because it got the arc of the season finally moving with the discovery of the Book of the Damned, and had Charlie and Castiel meet for the first time, which seems odd but is true. Cas also got his own grace back with the "help" of Metatron, so that story was finally wrapped up as well. All in all, a very strong episode. 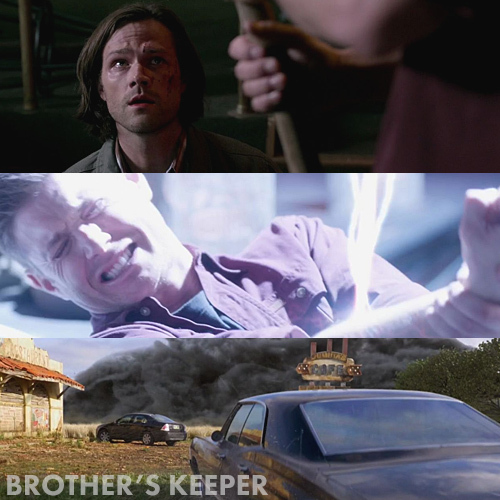 The season finale featured some very intense moments for the brothers at the end of the hour. Things finally come to a head with the whole Mark of Cain business. At first it seems like maybe Dean will go along with Death's plan to send him off to points unknown (but he'd have to kill Sam first to ensure he wouldn't go looking for him). But, the Winchesters can never give up on each other, so instead they opt for killing Death and allowing Rowena to finish getting rid of the Mark, which, uh... has some nasty consequences. It was a satisfying conclusion to the Mark storyline, even if it took a whole season to finally get to it. Honorable Mentions: Ask Jeeves (I liked the humor), Hibbing 911 (again, I like the two ladies and the humor of the episode), There's No Place Like Home (I enjoyed the dichotomy of Dark and Light Charlie), The Executioner's Song (mainly just for the scene between Dean and Cain), Angel Heart (I thought it was a well-crafted episode). Worst Episode of the Season: Halt and Catch Fire... just... no. 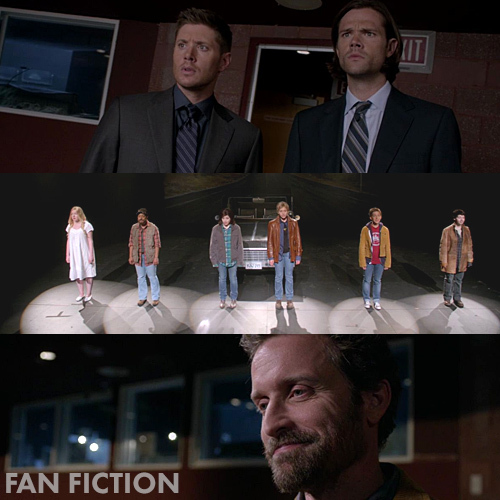 What is your favorite season 10 episode of Supernatural? For more of my countdowns, check out my top 10 lists page.